If you like wine with your ribs, May was a mixed bag of up and down prices. Inflation rose 2.1 per cent in May. For 2014, inflation is at 1.9 per cent according to the Consumer Price Index released today by the Department of Statistics. Food prices dipped 0.2 per cent. 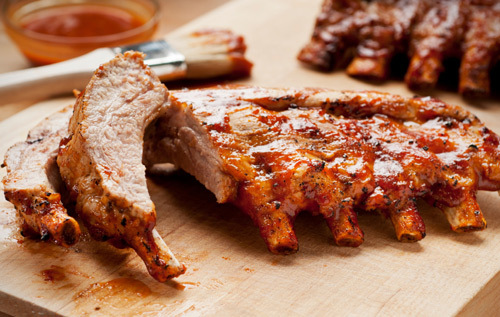 If you love ribs, you benefitted from a 4.8 per cent decrease in price for both fresh and frozen varieties. The cost of tomatoes declined 4.1 per cent while fresh tenderloin prices were down 3.1 per cent. There were no overall changes in both the Rent and Clothing sectors, but the Tobacco and Liquor sector was up 0.2 per cent, partly in thanks to a 0.2 per cent increase in wine. On year-on-year analysis, the Health & personal Care sector was up 5.9 per cent, which was led by increases in health insurance premiums. It was static for the month of May but the cost of self-prescribed medicines declined 0.5 per cent. The Transport and Vehicles sector was up 2.6 per cent in May in contrast to the 2.4 per cent decrease in April. The leading cause was an increase in taxi fares which averaged 24.2 per cent. The average price of overseas hotel accommodations rose by 13.3 per cent. The Fuel & Power sector spiked upward 0.8 per cent in costs. Residential consumers paid an average of 2.7 per cent more for electricity due to an increase in the fuel adjustment rate.